by Brian Moyer, Program Assistant, Lehigh Co. In my great-grandfather's diary of his farming activities, you will find entries for most Saturdays that say "in market." One can imagine what it took in the late 1800's to get ready to be "in market." It might be a bit easier to get to market today, but anyone who sells at a four-hour once-a-week farmers' market can tell you, the preparation takes much longer. Winter is usually the time for planning the growing season. But, as we all know, growing it means we also need to sell it - so winter is also a good time for planning our market season. 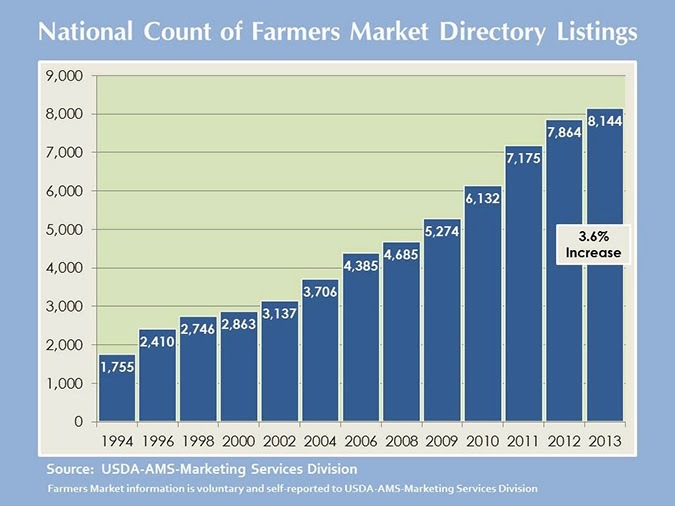 According to the USDA Agricultural Marketing Service (AMS), farmers' markets have grown by 3.6% from 2012 numbers of 7,864 to 8,144 in 2013. Pennsylvania has seen a 30% growth in the number of farmers' markets across the state since 2010. The opportunity this presents is that farmers basically have their pick of markets they want to participate in. That also means that the customer also has their pick of what markets they wish to patronize. Market patrons will want to buy from vendors who's products appear to be clean, high quality, clearly priced, and with attractive displays. You can greatly increase your market day bottom line by taking some time to evaluate how you plan to sell your products at the farmers' market. What's special or different about it. Is it an heirloom variety? Special flavor? Hot, mild, or sweet? Canopy: Have a good quality canopy and always use it, even on good weather days. A clean canopy looks professional. It is your "store." It also helps keep your products clean and cool which will go a long way in maintaining the quality people expect to find at a farmers' market. Displays: Rule number one; no products on the ground! No one really wishes to purchase food that sat on the ground, even if it is in lugs or boxes. Set them on something. The general rule is, displays should be between knee high and shoulder high. Give some though to how you will draw customers into your booth space. Once they are there, how do you want them to move through your booth? Say you have a ten foot by twenty foot space and you are selling produce. Maybe you will want to locate your register at one end so they will have to pass by every item you have to offer. You may want to place staple items like sweet corn, tomatoes, and potatoes at one end with more "impulse" purchase items closer to the checkout area. One last item, make sure to keep your displays looking full as items sell throughout the market day. If an item no longer fits in a bushel basket, make sure you have some smaller containers with you so you can transfer the remaining items to the smaller container to maintain that "full" appearance. Last, but not least, make sure you have all your permits that you many need to sell at market. Depending on what items you are selling, you might be required to have a permit from the local, county, or state health department (Pennsylvania Department of Agriculture). To find out what, if any, requirements you will need to follow, go to www.eatsafepa.com. 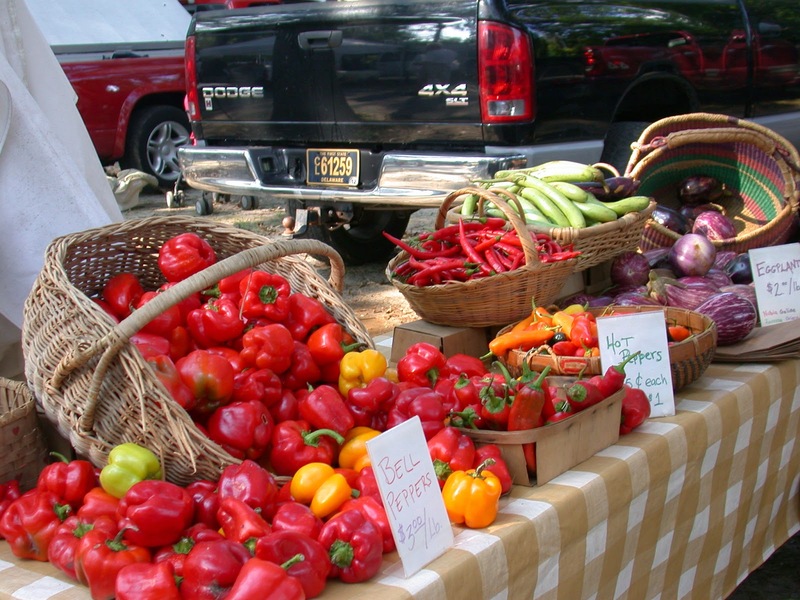 There you will find downloadable documents and requirements for selling at farmers' markets. It is well worth taking time now to have all these items in place so you will be ready for your market when the season begins rather than trying to get all your market items and permits together one week before the market opens. Waiting until the last minute may delay your ability to go to market if you have to wait for your permit. Needless to say, you will also miss a lost of sales! "Prepared for market" was usually the Friday entry in my great-grandfather's diary. If you take the time and do your preparation, your "in market" experience can be even more rewarding.